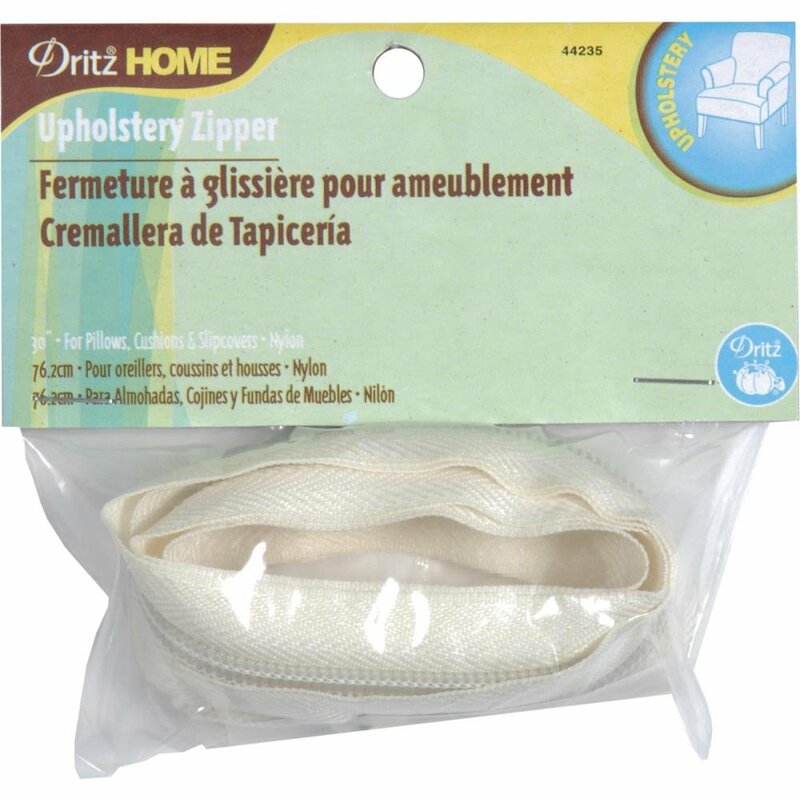 DRITZ-Upholstery Zipper with Nylon Teeth. Use with pillow, cushions and slipcovers. This package contains one 30 inch cream nylon zipper.